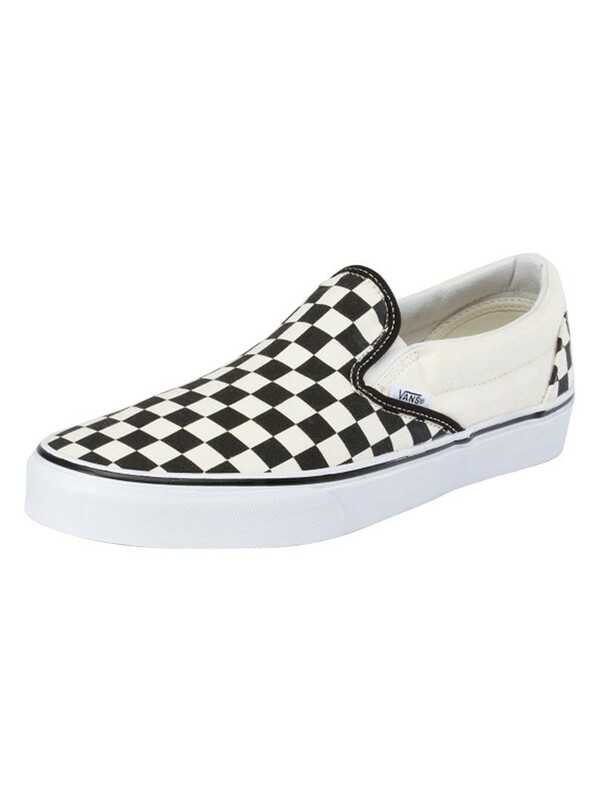 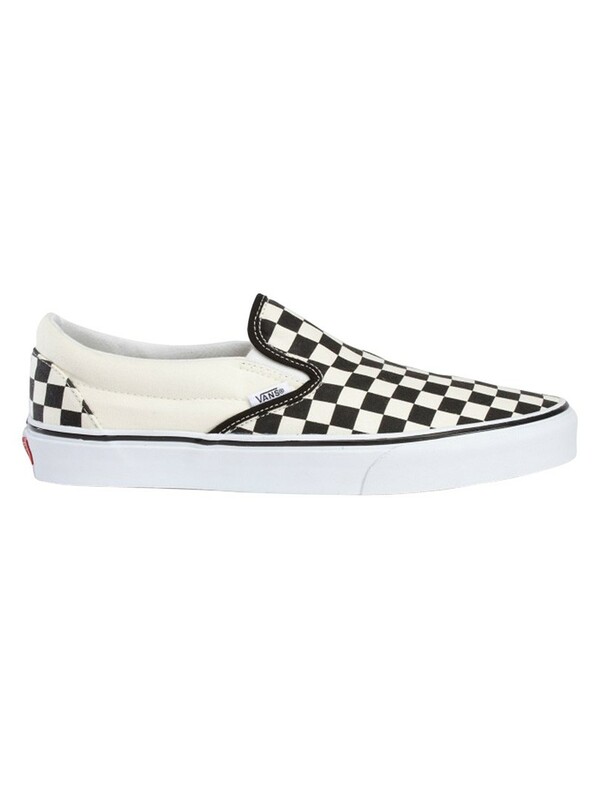 Vans Classic Slip On Trainers features breathable canvas upper in chequered pattern with gum rubber sole. 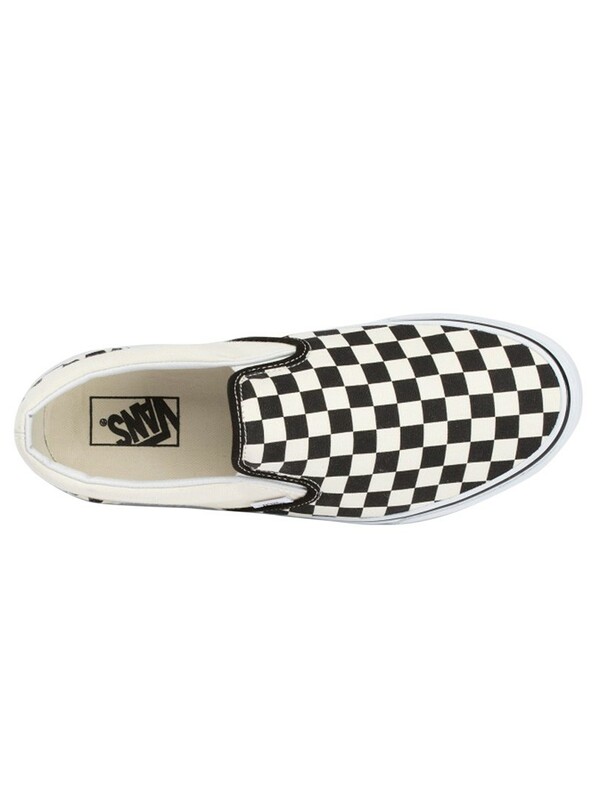 This Black/White coloured pair of shoe for men has Die-cut EVA insert and footbed, lightly padded collar and is accented with chequered pattern. 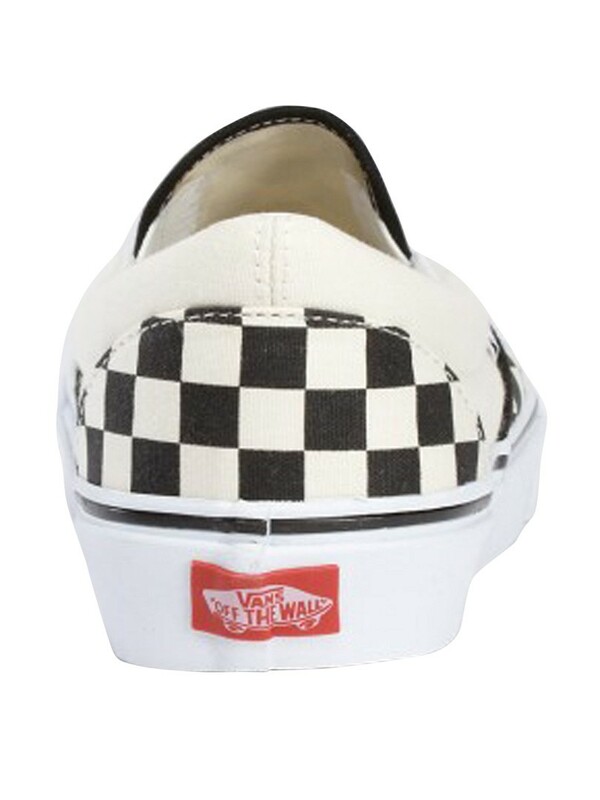 It bears a small logo tab to the right upper at its upper lining to the reverse and imprinted brand name to the insole.